Although grand jurors decided late Monday that Waller County sheriff's officials and jailers didn't break the law in their treatment of Bland, they are scheduled to return in January to consider whether to indict Trooper Brian Encinia, who arrested the Chicago-area woman on July 10. Encinia has been on administrative leave since Bland’s death. Texas Department of Public Safety Director Steve McCraw has said Encinia violated internal policies of professionalism and courtesy during the traffic stop, which he made because Bland had made an improper lane change. It’s not clear what charges the grand jury might consider when it reconvenes. “There are other issues that are still remaining that will be ad­dressed in January. There could be indictments,” said Darrell Jordan, one of the five special prosecutors handling the case. He declined to discuss which charges the grand jury has already considered and which it may when it reconvenes. Legal scholars say the U.S. Supreme Court has made clear an officer can order a motorist out of a vehicle, as Encinia did with Bland. But the grand jury likely will review dash-cam video showing how an argument between the two turned physical as Bland was forced to the ground and arrested. 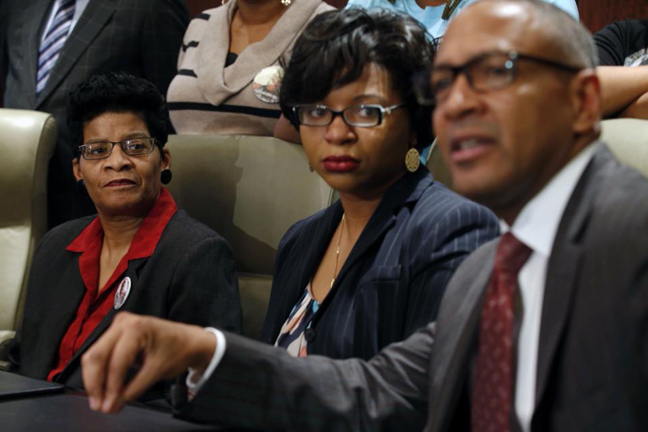 Geneva Reed-Veal, Bland’s mother, has filed a wrongful death lawsuit in federal court in Houston against Encinia, the Department of Public Safety, Waller County and two jail employees. A judge set a January 2017 trial date in that case. Cannon Lambert, an attorney for Bland's family, said the grand jury’s decision is consistent with what the family believes has been an attempt by authorities to cover up what transpired after Bland’s arrest. They also have questioned a medical examiner’s determination that Bland committed suicide in her cell by hanging herself with a plastic garbage bag. Another family attorney, Larry Rogers Jr., said Encinia should have faced charges “within days or weeks” of the incident and that he doesn’t understand why the grand jury would need more time to consider whether to indict the trooper. He said the family’s lawyers will redouble their efforts to examine a Texas Rangers investigation report about Bland’s death, which was withheld because it is grand jury evidence. In addition to dash-cam video from Encinia’s patrol car and those of Prairie View police officers who responded to the traffic stop, investigators have reviewed video showing Bland's arrival and processing at the jail. It also shows jailers interacting with her in the following days. Bland family attorneys say jailers should have checked on her more frequently and that the county should have performed a mental evaluation once she disclosed she had tried to kill herself before. County officials say Bland was treated well in jail and produced documents showing that she gave jail workers inconsistent information about whether she was suicidal. Bland’s arrest and death came amid heightened national scrutiny of police and their dealings with black suspects, especially those killed by officers or who died in police custody. 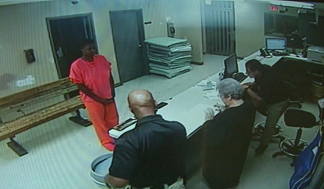 In the days after Bland died, county authorities released video from the jail to dispel rumors and conspiracy theories that she was dead before she arrived at the jail or was killed while in custody.